You’ve made the decision to have some professional portraits taken. Great! And now you’ve selected your preferred photographer (hopefully me!). 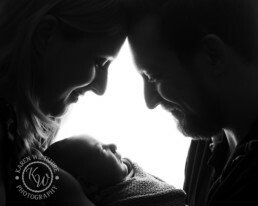 The session is all booked in your diary and you’re now looking ahead to having the portraits taken. You’ve probably got an idea of how it will turn out (after all, you’ve done your research), and you’re already imagining the pictures taking pride of place on your walls or mantlepiece at home. 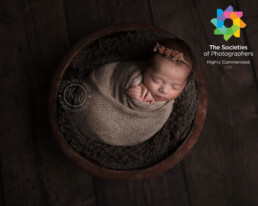 But, whether it’s a maternity, newborn, older baby or child, family, cake smash or outdoor lifestyle shoot that you’ve booked, the chances are that they’ll be some unexpected aspects of the experience. After all, you never can predict how things will go, especially if young children are involved! In today’s blog, I’m revealing seven things that you’ll experience when hiring me for a professional portrait session that you may not have expected. I realise that you may never have hired a photographer before, apart from your wedding photographer perhaps, unless you are a repeat customer of mine. So, it’s a new experience for you and you won’t necessarily know what to expect. And, if this is the case, don’t worry. When you get in touch with me to book your session, I’ll send you all the information you’ll need in advance of your photoshoot. 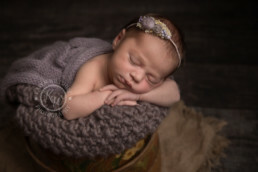 Plus, you can find extra information on my website, on the Frequently Asked Questions page, in my Newborn Photography Guide (if relevant to you) and within my blogs. Clients often tell me that they hadn’t realised I would help them to prepare so well. But I do this because I’m committed to helping you feel as prepared as possible for your photoshoot. And, if you still have questions, then please don’t hesitate to ask – simply call me or drop me an email. 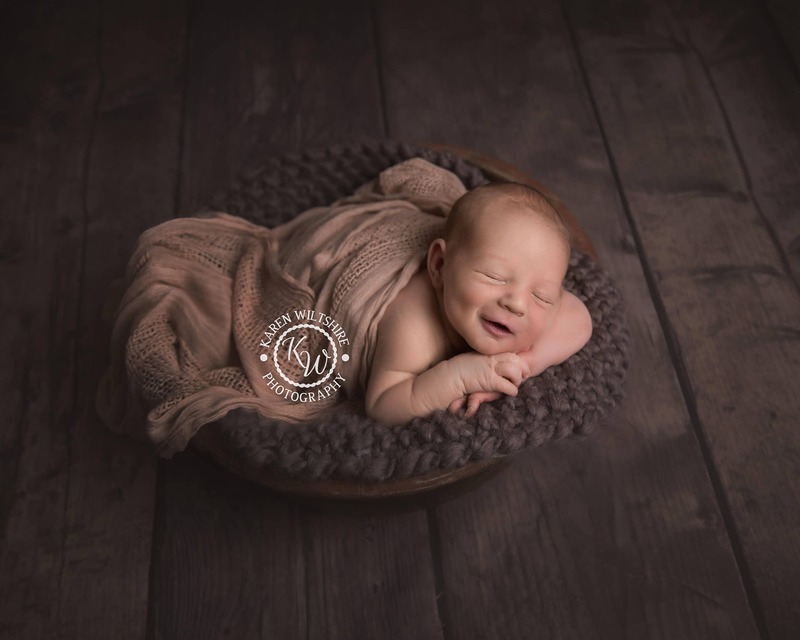 If you’re having a newborn portrait session with me, once you’ve arrived and we’re ready to get started, I’ll settle your baby to sleep and position then safely for the photographs. Some parents are surprised to learn that I do this and have expected that they’d need to do far more themselves during the session. But honestly, you should just sit back and relax. My comfy Poole-based photography studio is spacious and welcoming, and there’s plenty of room for you to rest, put up your feet and enjoy the session. Take advantage of the soft seating, the complimentary drinks, flick through my portfolio brochures and look at the examples of art on the walls. Or even feel free to even have a little doze if you wish, since you’ll almost certainly be a little sleep-deprived! I believe that another important part of my job is to give you guidance and to make you feel at ease. My aim is to make you look your very best in the pictures, so I will direct you throughout the session. 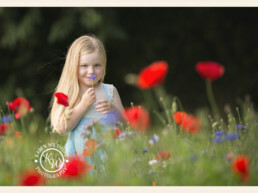 If it’s a studio-based child or family session, I’ll use my experience of what works well to advise you on how to stand, sit or interact with the other members of your family. Or if it’s a maternity session, I’ll guide you on how to pose in a way that’s flattering and elegant. There’s nothing worse than not knowing how to stand, which way to look or what to do with your hands, I know. So, I take all that doubt away by giving you clear instructions. And we’ll be chatting away the whole time too, which will also help to distract and relax you. When I’m photographing an outdoor lifestyle shoot though, I’ll be encouraging you to simply have fun. 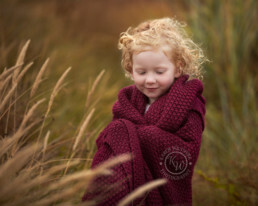 In these sessions, I may give you some direction but I’m more focused on capturing the natural moments, the smiles and the interactions that unfold. 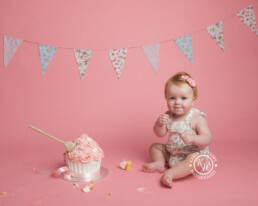 Of course, in a cake smash or a baby portrait session, young children don’t always take instruction! But, I have plenty of tricks up my sleeve that’ll encourage your little one to interact with the camera. Again, my best tip for you would be to leave it to me – to be honest, if you wave your arms around or say their name, chances are they’ll look at you rather than me, so they won’t be looking into the camera. 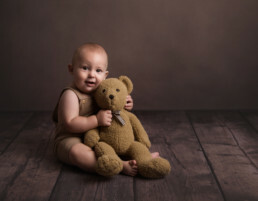 During a baby session I am usually on the floor, singing nursery rhymes, using squeaky toys and rolling balls around the room – yes, I may look a bit mad at times! But these are tried and tested techniques for getting great photos, so I’d urge you to just go with it and leave me to it! Remember, I’ve photographed hundreds of babies and young children over the years, so I know how to get the cooperation of even the most reluctant children! 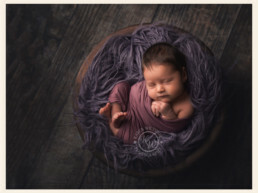 When it comes to photographing newborn babies, you may also be surprised to discover babies often do poop or wee in my studio – either on me, on you or on the floor! Many a time parents have looked at me in embarrassment and horror when their newborn baby does this for the first time, but honestly, there’s no need to worry! I am fully prepared for life’s little accidents, and of course, it’s completely natural. Everything in my studio is washable, and I clean and sterilise everything I use in the studio before each session. When it comes to reviewing the portraits taken during your session, you’ll perhaps also be relieved to learn that I’ll do the hard work of whittling the hundred or so images I’ve taken, down into an edited gallery for you to choose from. I select the images that are the best of the best, and then I spend time editing those pictures to achieve the final image gallery from your professional portrait session. Wondering why professional photographers edit their photographs? I explain that here. Parents are often surprised to realise how much work goes on behind the scenes and about the editing process. When I tell them it can sometimes take over an hour to edit each image, they tell me they didn’t realise! Only once fully edited are the images ready for you to view. I will then send you a link to view your gallery or, if you’d prefer, you have the option of returning to my studio, where I have a dedicated area for viewing your portrait gallery on a large screen. This is the most exciting bit – the big reveal! A further, often unexpected benefit of hiring me is that I can help you to decide which are your favourite images from the final image gallery. Choosing which images to purchase can be tough! It’s highly likely that you’ll love all of the images and will find it hard to select the ones you love the best. So, I can be there to guide you on your final selections if you did want some help with this. It’s important for you to realise though, that I deliberately sit quietly while you view your gallery for the very first time. I don’t impose my preferences on you or make you buy images that you don’t want (or more than you want). My sole aim with a viewing appointment is to help you choose your favourite images and to help you make the often-difficult decisions about which ones, and how, you’ll display in your home. Initial reactions to the images are usually very telling, so I’ll be encouraging you to go with your gut and choose the images you love at first sight. Which of those were most of a surprise to you? So, there you have it. Seven things you may not have expected about your professional portrait session with me. I would love to know which of these surprised you the most? Do let me know in the comments below. If you’ve yet to book but would like to, please complete this contact form. I look forward to hearing from you! And if you know someone in Dorset, Hampshire or even further afield who may be interested in having professional portraits taken, please do share this article with them. Thank you!